Chicken Divan Where is my Man?! Now that I am living on my own this summer, without a meal plan (tear tear), I’ve had to cook a lot more for myself. This weekend at my mom’s house we made Chicken Divan together and I’m excited to have another dish under my belt. Here is the recipe we followed! Side note: I used the title because it rhymes and I like how it sounds. I don’t feel the need to further my culinary skills solely for pleasing a man! PRE-HEAT YO OVEN TO 350! Alright, first you need to steam your broccoli. So throw that in the microwave with a little bit of water and let your microwave do all the work. 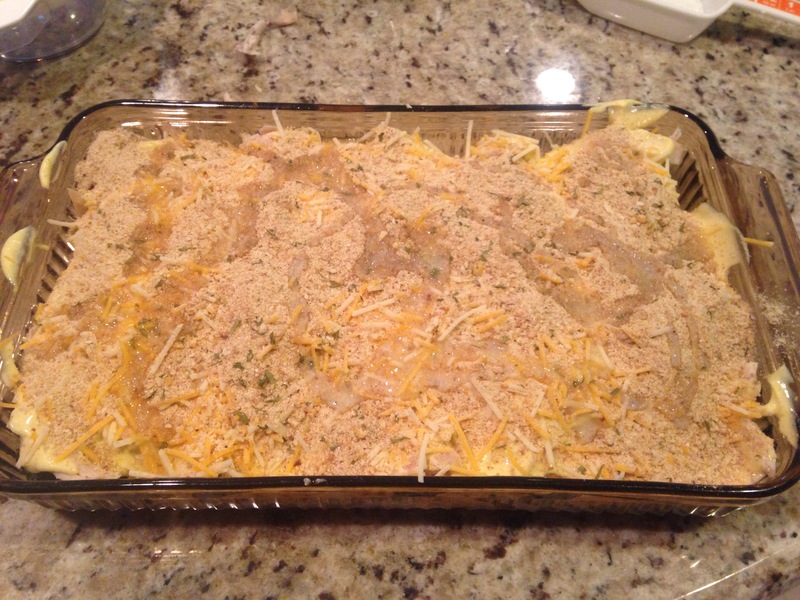 Scatter the baby pieces equally in your casserole pan. Take your rotisserie chicken and pull the chicken off the bone to layer on top of the broccoli. You want it to be bite sized pieces. The rotisserie chicken makes things a lot easier, but in theory you could make your own chicken then add it to the dish. In a medium bowl, combine your mayo, soup, lemon juice, and curry powder. Pour your mixture from step 4 on top of your broccoli and shredded chicken. On top of the sauce you will add your bread crumbs and layer as much shredded cheese as your heart desires. Pour the melted butter on top before sticking in the oven. Bake for about 45 min! Apparently some recipes have the rice included in the casserole dish, but I just made mine on the side! Overall it turned out really yummy. Let me know if you try it for yourself! 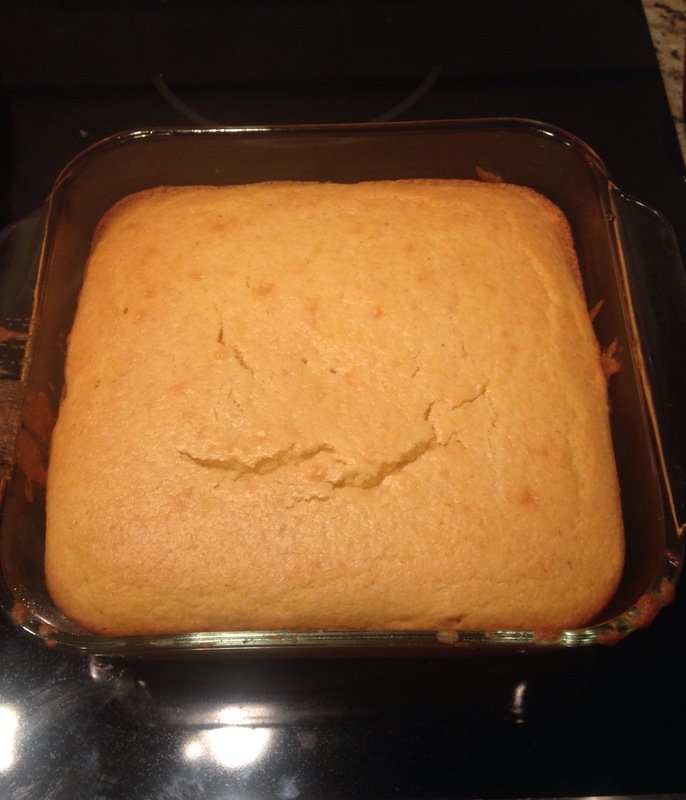 If you know me, you know I make cornbread every chance that I get, and tonight was no different! Ain’t she pretty!